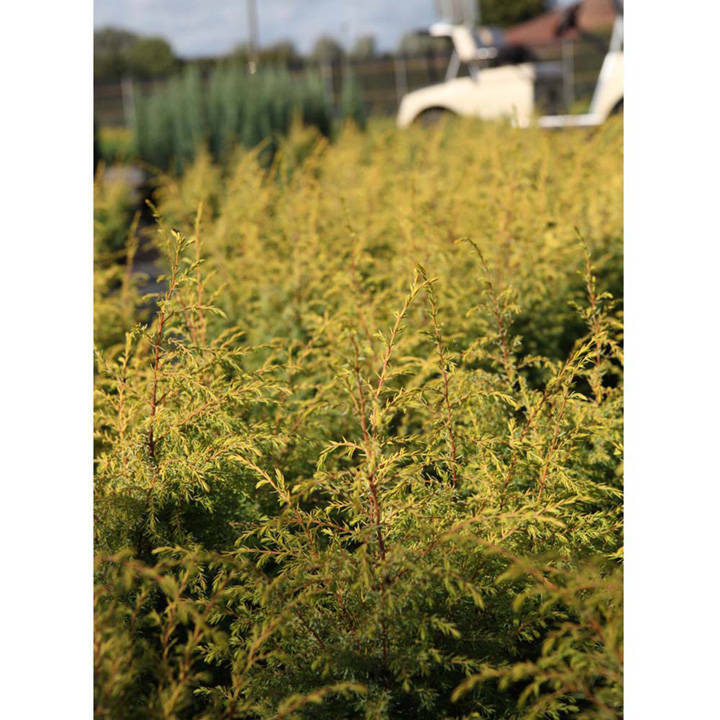 Juniperus communis 'Green Carpet' is a wide-spreading, prostrate, evergreen conifer that could grow up to about 2m across. Its foliage is needle-like and bright green in colour. It is a very low maintenance plant that can be used for ground cover and could be used in a rock garden or even as a specimen for bonsai. Height 200-250cm. Supplied in a 7.5-10 litre pot. Juniperus communis 'Green Carpet' is a wide-spreading, prostrate, evergreen conifer that could grow up to about 2m across. Its foliage is needle-like and bright green in colour. It is a very low maintenance plant that can be used for ground cover and could be used in a rock garden or even as a specimen for bonsai. Height 200-250cm. Supplied in a 3 litre pot or 7.5-10 litre pot. Ideal for beds and borders, patio pots and containers, ground cover, rockeries. Prefers full sun or partial shade.